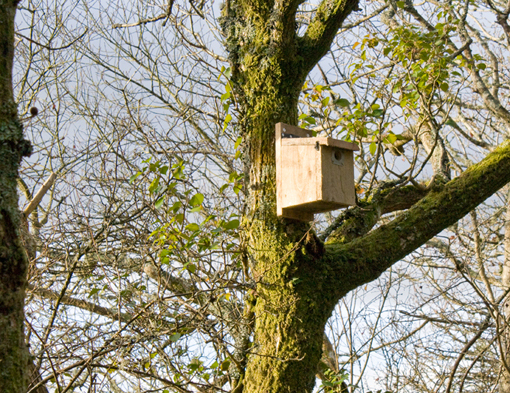 the woodland farm » Nesting birds – honest! 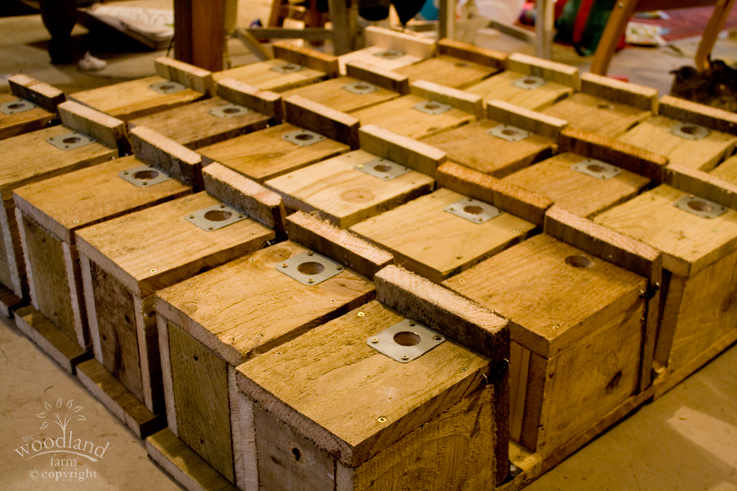 So after working hard over winter to complete the first year of our Glastir Entry tasks (which is all about helping wildlife and conservation) we erected 25 beautifully hand crafted bird boxes made precisely to the Glastir specification using untreated wood and tops that open to let you clean out debris. 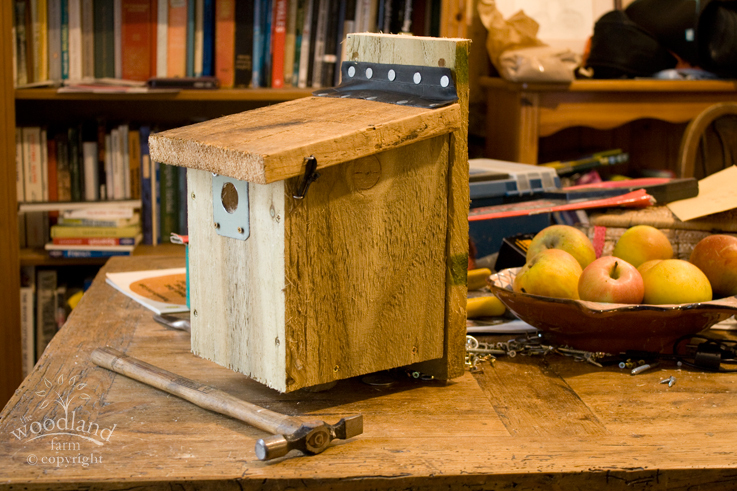 Steve made the bird boxes on my dining room table – as you do – yet another consequence of the year-long delay in getting our barn (thanks for that planners). He added little metal plates to the holes so that they aren’t re-purposed for woodpeckers and the lids were hinged using bike inner tubes (thanks to Mikes Bikes in Pendergast for these). We put the boxes up just before Christmas 2014 – you put them a few metres high with the hole facing north or east in a location where there’s a clear view up to the box. 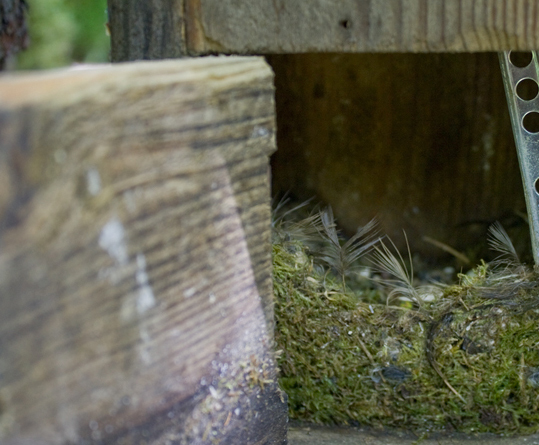 I made an alternative box and put a sign on this one saying please don’t post your money here – birds nesting! 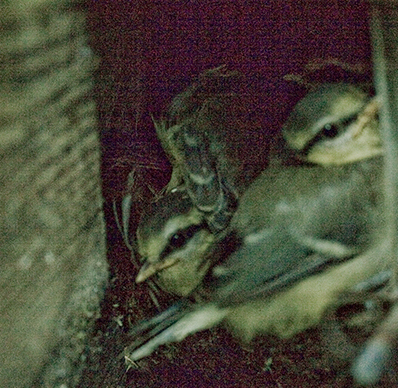 I just managed to snap a picture before they fledged – but wow – they were quick!